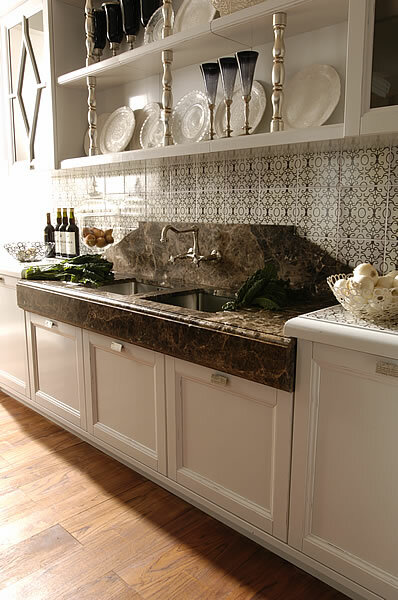 Emperador Dark is quarried from a bedrock quarry in Spain. 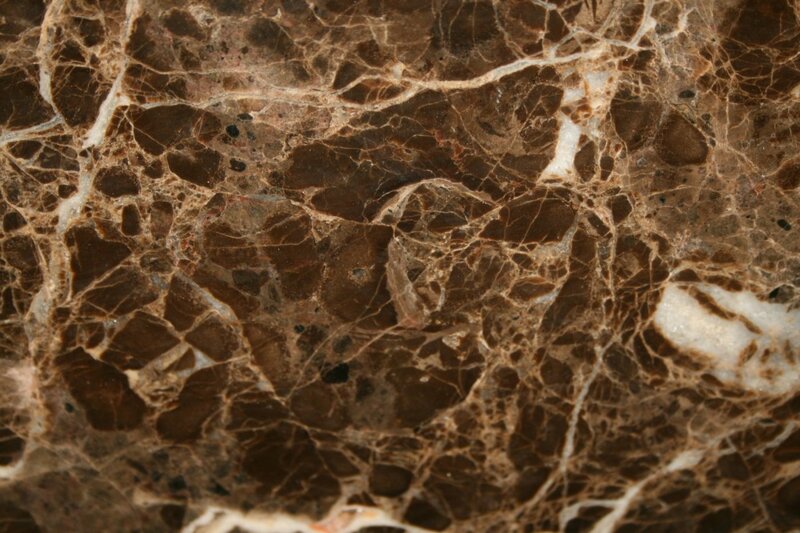 You have probably seen Emperador Dark Marble somewhere. 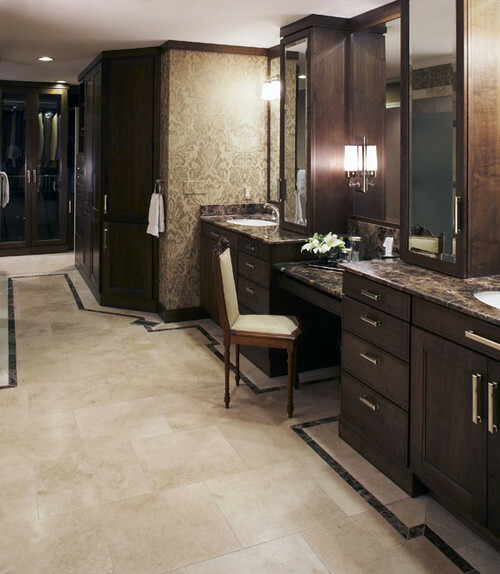 It's all over the place, very popular for bathrooms as well as furniture pieces. I don't know if I've ever walked into a furniture showroom without seeing this marble on some table or decorative sculpture. Just because you see it everywhere doesn't make it bad. 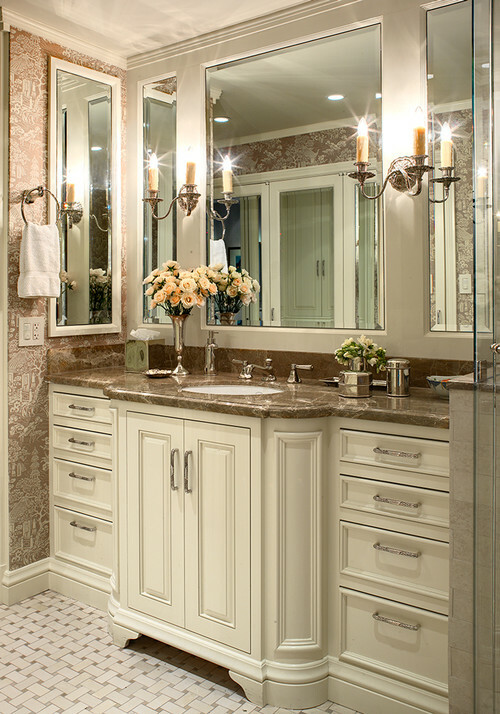 I think it shows how classic & timeless this marble is. 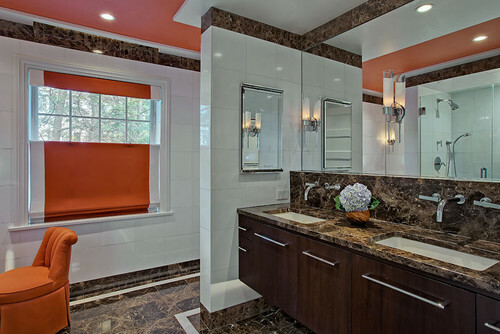 Emperador Dark is great for interior applications. It can be used for exterior applications as long as it is in a covered area and you are in a part of the country that doesn't have freeze/thaw weather. Other names for Emperador Dark include: Emperador Scuro, Emperador Oscuro, Dark Imperador, Emperador Fonce, Ramona, Marrom Imperial, Ramona Brown, Frappuccino and Marrom Imperador. Remember that all marbles are calcium based stones. To read more about etching go here. You can hone the slab to give it a matte finish. This helps the etching not be as noticeable, though it will still happen. 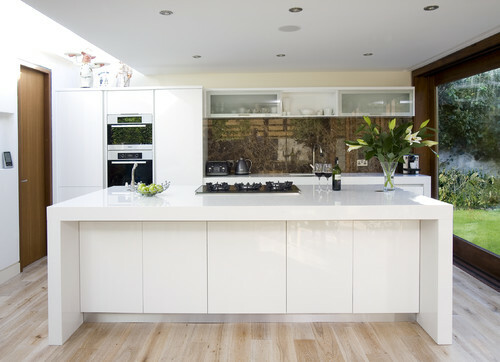 Marble can be used in kitchens, but we just like our customers to be aware of the care & maintenance. 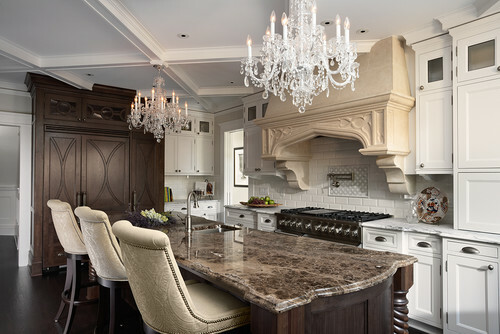 There is a reason that granite is the most common natural stone used in kitchens....it's because it's so durable! Emperador Dark is available in 2 cm and 3 cm slabs as well as multiple tile sizes. should the finish on the Imperador Dark Marble have rough spots on can feel with the hand...even slightly raised? Yes, sometimes Emperador Dark marble will have "rough spots". This can be due to the stone or more likely it's the epoxy fill that's in the stone. Epoxy is not UV resistant and if the slabs have sat outside in the sun sometimes the fill can yellow and start to pop out of the area. This isn't good and it should have been pointed out to you before the installation. It shouldn't be too rough though. If you have a photo I could try to give you a better analysis of what is going on. I am using Emperador Dark Marble as my floor and up my wall. 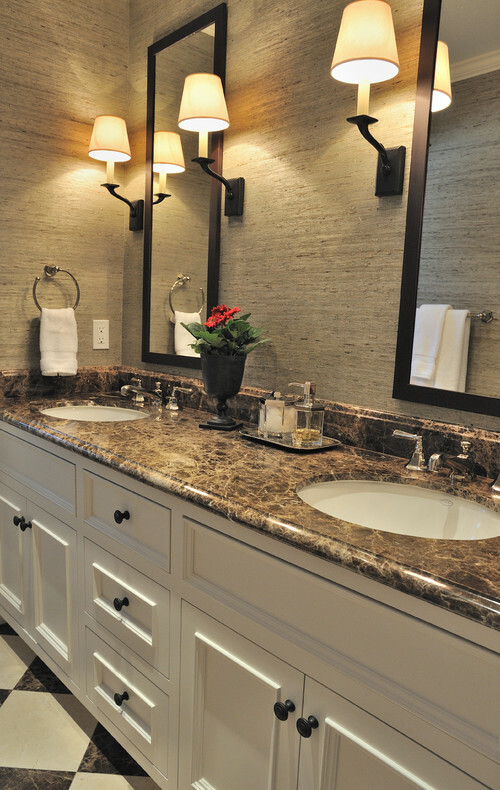 What granite could you recommend that pairs well with Emperador Dark Marble? Thank you! Are you looking for a contract or something that blends with the Emperador Dark? Email me....stephanie@mgsbydesign.com and I'll give you some options. I put it around my fireplace. It looks great. However it gives off a slight but strong odor, like naphthalene. I wonder if that comes from that epoxy used to fill voids before polishing. I've literally never heard of this problem. This stone is resined, but I'd be surprised if it's still putting off an odor. It may be the glue that they used to attach the marble to your fireplace. 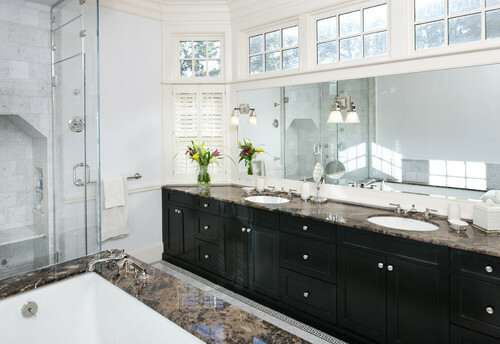 hi, i have the Emperor Dark marble on bathrooms of my house, i have noticed that it absorbs the water and any other liquid very fast but mostly it created spots from toothpaste... I dont know what else to do for removing any spots or if i could find someone that could sand and polish again, it is looking really ugly? so you have any recomendations on this matter, if you do i really appreciate it.